In the summer of 1982 I barely graduated high school. My preoccupation with smoking weed and doing anything but actually going to school made my graduation an issue that was open to question. Like many other mislead, 17 year old knuckleheads of the day, college was not on my immediate horizon. After a year of working in a pizza place I found myself in a navy recruiter’s office seeking a better way. I knew I needed training and I knew I wanted to travel so the recruiter convinced me that I wanted to be a Hull Maintenance Technician (HT). That same year I went through boot camp in San Diego and then went to San Francisco to receive training in welding, pipefitting & damage control. From there I went to Charleston, South Carolina where I worked on navy tugs and other small boats. Advanced training was ongoing and I soon became good at my job. I spent a lot of time cutting out rusting and busted metal pieces of tug boats and replacing them with new steel. I learned about basic seamanship, cleaning up oil spills, standing watch and many other aspects of life in a navy tug yard. I also learned nautical terms like “scuttlebutt”, “skylarking” and “balls to 4”. At the advanced age of 20 years old I married my girlfriend from Nashville and we had a son, James Henry Britt III. Woven throughout all of my training and much of my daily work was “damage control”. In the navy, damage control means controlling flooding issues, handling Nuclear, Biological and Chemical (NBC) threats and firefighting. I did all of this but particularly liked the firefighting aspect. Directly across the street from where I worked was the base firefighting school and it was run by the most fearless men I had ever seen. Every day they started giant, jet-fuel fed fires in steel reproductions of navy ships and sent firefighting teams into the blackest, hottest, scariest productions of hell I could imagine. I went to that school many times and learned how to safely open steel doors, beat back flames and then, amazingly, get inside, track down fires in the black smoke and put them out. Everyone in the navy gets firefighting training and part of my job was to train others so for two years I did that in weekly sessions. “A sailor’s place is on a ship and a ship’s place is at sea”. In 1986 I reported to the Fast Frigate USS Joseph Hewes (FF-1078) in Charleston. While the ship’s primary function was anti-submarine warfare (the submarine wins) my job remained much the same. I did lots of maintenance on piping systems (including sewage, another story for another time), some welding and lots of damage control. Shipboard life is arduous and while at sea, 12-16 hour workdays were common. In addition to our normal work, we ran lots of fire drills. The alarm would sound, the speakers (or “1MC”) blare, “This is a drill, this is a drill, fire, fire, fire, class bravo fire in compartment ………….” and off we would go. Protective gear is donned, hoses are broken out, firefighting equipment is staged in a military fashion, communications are established, commands fill the air, and what might look like chaos is a well-oiled firefighting machine. It was good training and generally I enjoyed it. I spent about 2 years on that ship and it was very hard work with lots of time away from home. As I look back on it now the memories of the hard times have faded & primarily what I remember is traveling the world with Sherm, Bear, Dan the Man, Doc Pounds and others. We explored castles & volcanoes in Naples, got tattoos in Spain, danced in a disco inside the Rock of Gibraltar, marched in a parade in France and had many adventures of many kinds. “Mail Call” was a time of great joy or bitter disappointment and we all shared our letters, pictures and care packages from home. If weeks would go by with no word from home we would begin to wonder if everything was ok. I have seen many men get the news that their wife had left them while at sea or even return home to find everything and everyone gone. It isn’t easy being deployed in the military, for the husband or the wife. In 1988 I was sick of the hardships of being deployed and left the navy. I returned to Nashville, Tennessee to work as a shipfitter, building barges on the banks of the Cumberland River. We had another son, Eric, while in Nashville. I wasn’t very long on the job when I started looking around thinking, “Is this what I want to be doing in 10 years?” I contacted a recruiter and told him I had been thinking about being a US Navy Deep Sea Diver and asked him to look into the possibility. He told me he could put me in the navy again but being a diver would take time and was up to me. The selection process is tough, the training is harder yet and the job itself was not for the average man. (He might not have actually said the part about the “average man” but the previous statements inferred the latter.) I would have to rejoin the navy and could apply for the dive program after a year and might be able to start training in 2 years. That was not what I wanted to hear but they offered to send me to the Pacific island of Guam for those two years so I jumped at the chance. In my absence, my old HT job had changed, the navy had separated the duties of hull maintenance and damage control. I could now go back in as a Damage Controlman (DC), I would be focused on firefighting and I wouldn’t lose any rank (I was an E-5) despite my 11 months out of the navy. In April 1989 I packed up my young family and we left for Guam where I was to report aboard the Combat Stores Ship, USS White Plains (AFS-4). After a couple weeks of getting my family settled in Guam I flew to Thailand to meet the ship which was on the way home from a Persian Gulf deployment. Seventeen days later, 9 May, 1989, while conducting Underway Replenishment (UNREP) in the South China Sea, a partially disassembled valve shot fuel all over a giant boiler and caused an explosion killing 6 of my shipmates. While trying to contain the fire I suffered 2nd and 3rd degree burns on my hands, arms and face and, along with 4 other injured sailors, was medevac’d to Clark Air Base in the Phillipines for treatment. It was a tough time but the outpouring of support from my family and the military community helped the healing and recovering in the same room as my other injured shipmates was beneficial. Eventually the ship was patched up in the Phillipines and we, like many before and since, went on to resume our duties. I diligently trained for navy dive school, took the physical tests, submitted myself to the scrutiny of accomplished navy divers and was eventually accepted into the training program. 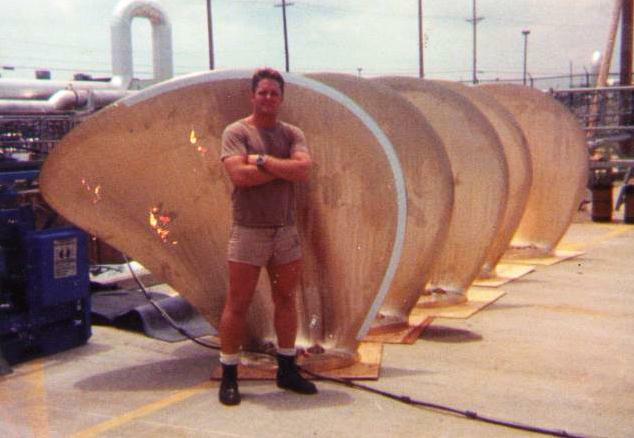 In March of 1991 I reported to the Navy Diving & Salvage Training Center in Coronado, California for training. My shipmate and closest friend from the USS White Plains, Chris, reported with me and on the 1st day there we took the Physical Training (PT) test to see if we were even in shape to start dive school. I passed but Chris failed the test. We had driven across the US together and in a 10 day party that spanned the American Southwest we had undone months of physical training. Normally he would have done the “Seabag Drag” or the “Walk of Shame” out of there but because we had just come from sea duty in Desert Shield & Desert Storm they allowed him to stay. Instructors submitted him to serious “PT” for two months and he joined the next forming class. He ended up graduating and went on to become a Navy Chief. Navy Dive School was by far the hardest thing I had ever done. I thought I could run but was humbled by men who could run 8 or 10 miles in the soft sand of the Coronado beaches. I thought I was good in the water but these instructors were powerful men who seemed to have gills. I thought I was mentally tough but was pushed to new levels and overcame fears I didn’t even know I had. The academics were tough and memorizing flow charts, medical terminology and all manner of underwater physiology required endless hours of my off duty time. Some in our class quit and others were dropped for academic reasons. My younger brother’s half joking words rang in my ears as I struggled, “Don’t come back here if you quit.” I thought of how proud my father was that I was training to be a Navy Diver, an elite group that he had grown up seeing train on his father’s navy bases. I thought of my Grandfather, Papa, who had been a Navy Diver long before I was born. I thought of all of these things as I struggled on long runs in the sand and fought creeping fear during underwater survival drills when instructors attacked us and tore off our gear. In the end I earned my 2nd Class Diver pin and received orders back to South Carolina. I drove across country with a two other newly minted Hooyah Navy Deep Sea Divers and my 5 year old son, Jimbo. We drove Route 66, hiked the Grand Canyon, visited meteor craters in the desert, dove in a cenote in New Mexico and made a pilgrimage to Lynchburg, Tennessee. I recently was given a copy of the video we made documenting that trip. Great stuff. Amidst a newfound identity and despite the impending end of my marriage I learned my new trade in the dark Cooper River of Charleston. Beneath navy ships I learned how to work underwater despite the current, the cold, fatigue and the darkness. We replaced huge propellers, repaired underwater sonar and worked on all kinds of fun stuff under the surface. It was a joy to work with highly motivated, well trained individuals who had paid the price to be doing what they did. 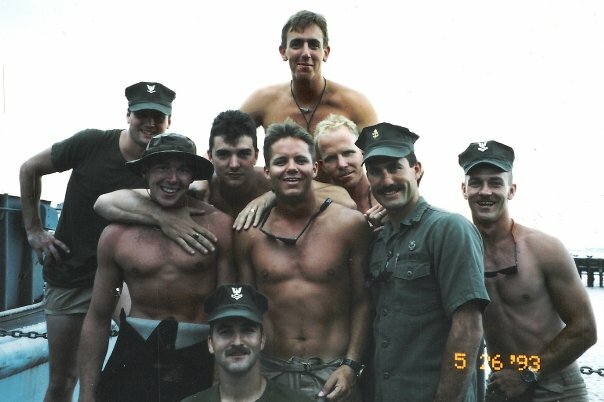 There was the very rare, “How did that bonehead get through dive school?” but overall these were an impressive bunch of guys and I was proud to be working with them. After 2 years in Charleston (that included meeting my future wife, a female Navy Diver) I was selected to go to First Class Diver training in Panama City, Florida. First Class school primarily focuses on running the dive station, and specifically, learning how to recognize and treat diving related disorders that some people call “The Bends”. (We called these people “civilians”). Since we were already 2nd Class Divers I was told that 1st Class School wasn’t very physically demanding and there would be a lot of volleyball and football for “PT”. WRONG! School was surprisingly physically tough and I often wondered just where they found these instructors who could PT like this! I will forever remember the words of a man who went on to become a mentor of mine, Chief Warrant Officer Tim Siddle, “It’s PT! It’s supposed to be hard!! !” I very much enjoyed the focus of the school and the pressure they put us under in the endless drills that helped form us into well rounded, competent Navy Divers. I think everyone graduated from that class and earned the 1st Class Diver pins. First Class dive school was also an important time for me because my search for I did not know what ended when I responded to an alter call in a small church and my life was changed forever. A Chief in my class and Warrant Officer Siddle played a part in that process and I am forever grateful. Since that day I have often acted like I didn’t know God & didn’t care what He thought but that is a reflection of my compulsion towards selfishness and not His character. If there is any lesson to be learned about God by observing my behavior it’s that His mercy is great. When I completed First Class school my father, stepmother, mother, brother, sister, two sons and my betrothed came down to Panama City to support me and see me graduate. It was a great family gathering. The navy ordered me to Trident Refit Facility (TRF) in Kings Bay, Georgia after school. Our primary mission there was to work on Trident class submarines. I have been at sea with aircraft carriers, battleships and a number of other impressive naval vessels but those submarines are probably the most powerful weapons on the planet. They can launch intercontinental nuclear weapons from underwater. Enough said. At TRF I continued to hone my skills in the water but, as I was becoming more senior, I spent a lot more time supervising dive teams than actually diving. Not only was I running dive teams but I also coordinated all the underwater maintenance for ½ of the navy’s Trident submarines. In addition to those duties I had the opportunity to become intimately familiar with the recompression chamber. TRF was periodically responsible for handling all diver related injuries of military personnel on the lower east coast. We had a fairly regularly flow of “bent” divers coming through our doors (mostly recreation divers) and we also handled aviators who would get a similar problem called aviation decompression sickness. Any time someone was “in the chamber” they needed a qualified medical person in there with them, an “inside tender”. I spent many, many hours as the inside tender taking care of our patients. After some time I became a “Chamber Supervisor” and was able to evaluate incoming patients and supervise their treatments. All in all I loved my work, I advanced to Chief Petty Officer, I made great friends and enjoyed being active in the local church. While at TRF I became engaged to Jacquelyn and we were married in the historical waterfront area of Charleston, The Battery. She was eventually transferred from Charleston to Jacksonville, Florida where we rented a home and commuted to our respective diving commands. Jacquelyn and I wanted to have children so we started talking about getting out of the navy. I had been on shore duty for 5 years and sea duty was looming in my future. I had experienced sea duty before and although being at sea had to be better as a Chief the time away from home could be about the same. To the surprise of nearly everyone, in 1997 I left the navy after 12 years and Jacquelyn did the same only a couple of months later with 10 years under her belt. I often miss the life I led as a Navy Diver and a Chief. I dream about the navy a lot and I long for the camaraderie. I still keep in touch with some of the guys from back in the day, we call each other “Brother” a lot and we mean it. Relationships, like people, that are forged under pressure tend to be solid. For me, as a young man, the military was a good choice. I am grateful for my time in the United States Navy. My country does not owe me anything today, I was trained, I worked and I was paid. I see a lot of flag waving and “We support our troops” and that is all great. The people serving certainly appreciate it although they do not expect it and are often embarrassed by it. Obviously there was a time when our veterans were not treated well and it is nice to see public sentiment swing the other way. As you read this there are men and women out there right now, at sea, in the desert, in the jungle, recruiting, all over the world doing their job. Many of them look at their job like you look at yours, it’s a job. They are caught up in the daily responsibilities of their work and may not consider the big picture on a daily basis. If you see them in an airport or on the street please consider shaking their hand and telling them you appreciate them. It is a small thing but it goes a long way. My 2nd son, Eric, is 25 years old and in the navy right now. When he was graduating high school and was discussing the navy I was against it. He was a great student, super sharp and I would have preferred that he go to college first, maybe then go in if he wanted to. In my mind, there were better options for his financial future. He has been in about 5 years now and he likes it and I am happy for him. Our shared experiences give us a connection that I appreciate. He is still super sharp, is a Navy Recruiter and represents our navy well. He has a bright future ahead of him whatever he decides. I may or may not encourage my other children to pursue a military option but I will always encourage them to take on big challenges, do the hard things and face their fears. None of which are easy but all are worth it. 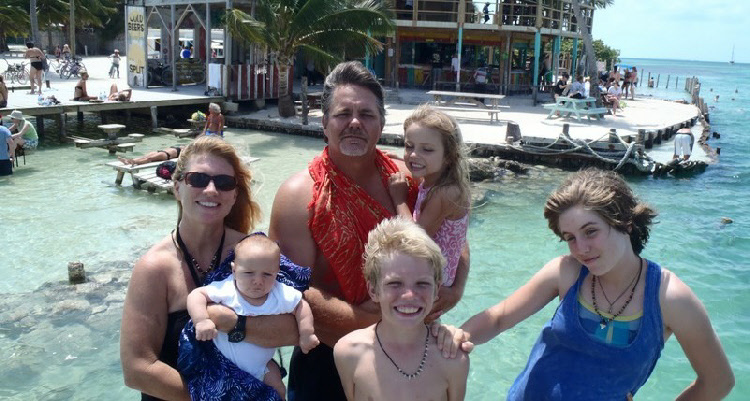 This entry was posted in Belize, Ex Military in Belize, Ex Pats in Belize, Navy Divers, Uncategorized. Bookmark the permalink. Brother, I cant wait to read your first book. Very nice! Chris, of the party across the American Southwest fame, you are reading it. Yes, it is an excellant read & thank you so much for your service. Thanks for one’s marvelous posting! I genuinely enjoyed reading it, you might be a great author.I will be sure to bookmark your blog and definitely will come back down the road. I want to encourage you to continue your great writing, have a nice evening! i really enjoyed your writing, it make me homesick. i feel really greatful for my life as a child in Belize. Thanks for sharing. I chanced upon your blog back in May ( which you acknowledged). I’m quite sure that adjusting back to life here in the USA has been …challenging. Different philosophies, economics, geographics – all that! No time & perhaps inclination to put the pen to paper & ruminate? I thought I’d write to you & ask if you maintain contact with divers back in Belize? My family & my sisters’ families are going to Ambergris Cayes in about a week & although there are so many advertised Divemasters with crew, equipment & boats, I wondered if perhaps ( with your extraordinary diving background) you might be in a position to recommend a truly safe, conscientious , reliable & honest outfit? Half of the group ( approx. 5-6 divers have a decent amount of experience – no advanced certifications such as cave diving or trimax etc) & the other half ( although certified) have had only 1 open water diving trip . My concern is foremost safety. they all want to try the blue hole ( of course). and if not, I hope you & your family are happy to be back here. I wish I had some good diving advice for you but I am afraid I don’t. During our time in Belize i didn’t dive once. I suspect you would get good feedback from belizeforum.com. Good luck. Thanks Brother. Hope all is well with you. I often think about Family Life Team & the Saturdays you and I got together talking about our walk. I always enjoy these Jim. Great story, prose, and interesting to boot! In the picture titled “Jim and Friends” is the man standing in the center over the top of everyone Tony Collins? It sure looks like him, were you two possibly stationed at Charleston together? I’m sure you heard of his unfortunate passing a few years ago. I worked with him at the Shipyard in Washington, he was a good Chief, and a good diver. That is Tony, at the time his last name was “Musco”. We were close friends and I was heartbroken to hear of his passing. He was a groomsman in my wedding and like a brother to me although we lost touch in the last few years. I did not know he was married until I heard of his death. Damn fine guy.